Wondering why your Canadian Study Permit got Refused? 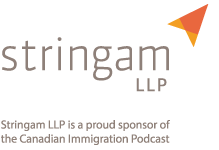 If you are an international student seeking to study in Canada you will not want to miss this episode of the Canadian Immigration Podcast. 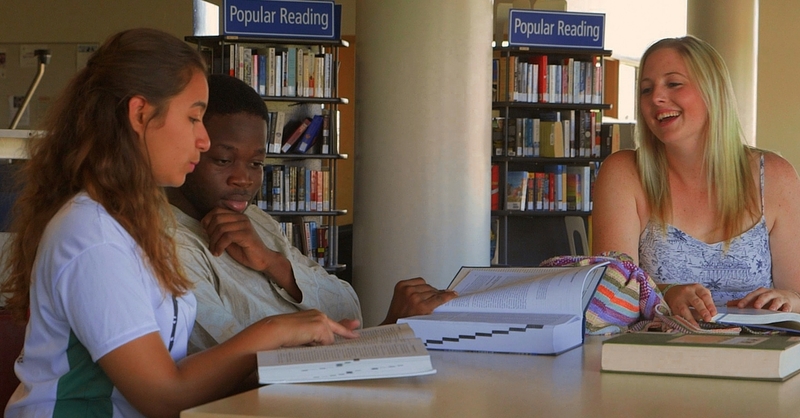 Although getting accepted to a Canadian educational institution is no easy feat, it pales in comparison to the much more challenging process of securing your Canadian study permit. 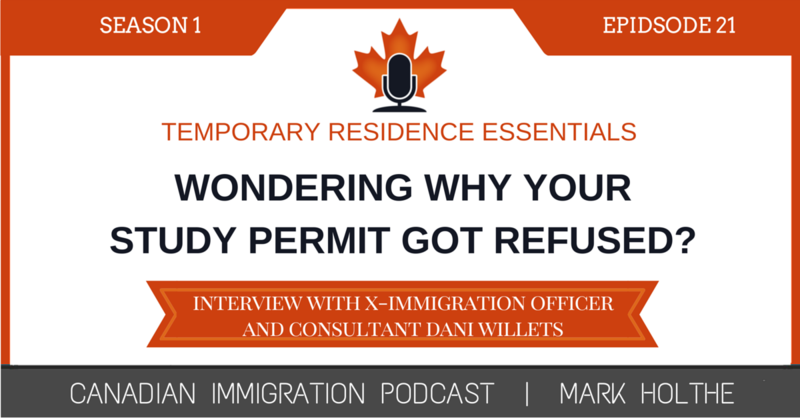 If you are in the process of filing your study permit application or have recently experienced a refusal and don’t know where to turn……you have got to listen to what x-immigration officer Dani Willets has to say about improving your chances of success. 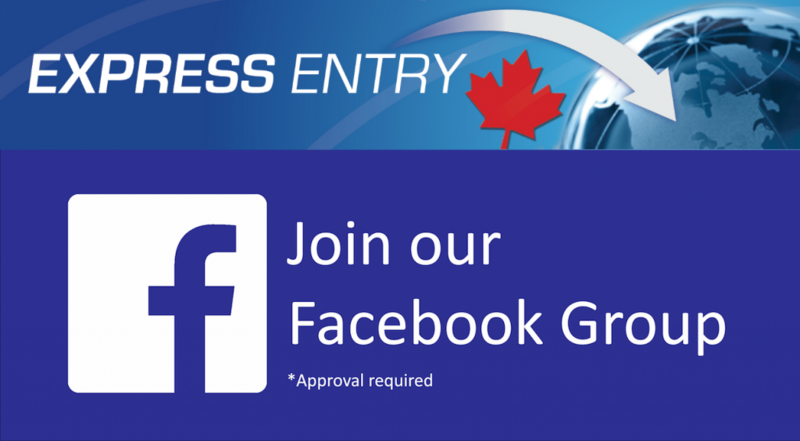 Although focused on Canadian study permits, this Episode can benefit anyone filing visitor visa or work permit applications just the same. 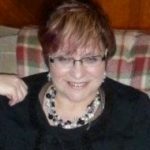 In this episode of the Canadian Immigration Podcast Accredited Immigration Consultant, Dani Willets, joins us to offer a unique perspective on Study Permits. Dani was with the Department of Citizenship and Immigration for 25 years. She was originally hired as an Immigration Officer, but in the 10 years prior to retiring from the department was primarily an immigration supervisor. She has extensive experience in every inland immigration program and several overseas programs. I was completely blown away by the knowledge and perspective Dani reveals regarding Study Permits. In this Episode she shared with us some tremendously useful information on assessing the bona fides of an application from an immigration officer’s perspective. She clarifies some common red flag areas that you need to avoid at all costs and examines the impact that fraud and other forms of misrepresentation has had on the adjudication process. Although I say this in pretty much every Episode, the insight Dani shares is truly “advanced and unique”. You truly can’t find this in any immigration law textbook or government website. In order to help you jump to the areas of most interest to you, I have included below some timestamps for some of the significant topics covered in this episode. 2:59 – Who is Dani Willets? 31:30 – Why questions are asked? Dani was with the Department of Citizenship and Immigration for 25 years. She was originally hired as an Immigration Officer, but in the 10 years prior to retiring from the department was primarily an immigration supervisor. She has extensive experience in every inland immigration program and several overseas programs.